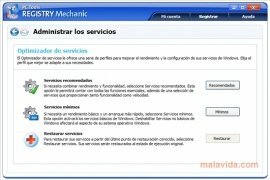 Registry Mechanic is a basic utility to make sure that your operating system works properly. Everybody knows that the Windows Registry is one of the most vulnerable parts that most affect the system, but thanks to programs like this it will be easier to clean and optimize them. 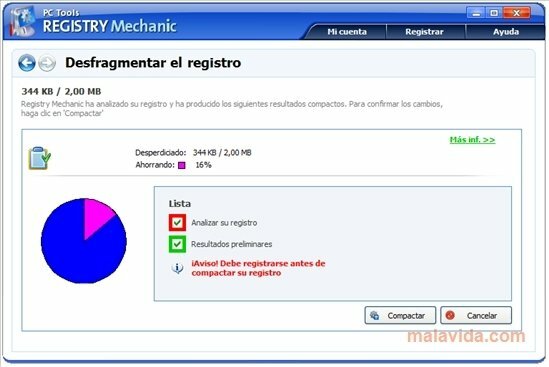 As soon as it starts, Registry Mechanic will perform a primary search in which it will show us a first list of registry errors and it will solve the majority of them. But it doesn't only search for incoherent information and fix flaws. We will also find a utility to defrag the registry, optimize the system in general or delete files securely. 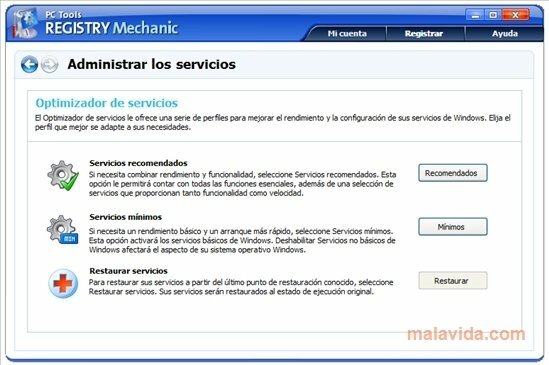 Not everything in Registry Mechanic is focused on the system, the program has more than 100 profiles belonging to very popular programs, the cleaning of which can be even more interesting than that of the registry. Chat programs, browsers, instant messengers, and others that are usual on any PC will be cleaned and optimized. With regard to protection options, Registry Mechanic allows us to create backups before starting any action, protects your settings for several Internet programs that are usually attacked and updates automatically. The trial version only eliminates problems in 5 sections of the registry.